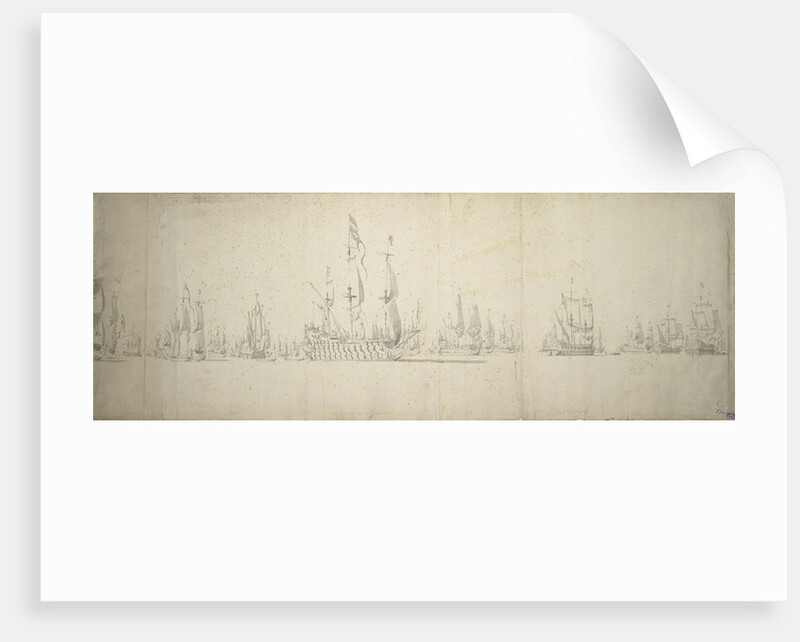 The Dutch fleet is shown with the wind and the sun coming from the left hand side of the drawing. In the centre foreground is a starboard bow view of the 'Eendract' (den baron van wassenaer) under fore course and topsails. To the right is a starboard quarter view of a ship with a flag at the mizzen, probably Houthuyn in the 'Wapen van Medemblik', one of Schram's squadron (schram en schout bij nacht); further to the right is Captain Oudart in the 'Stad Utrect' (? Ouaerd). On the left is a stern view of the 'Huis te Zwieten (sweeten). The drawing is inscribed 'den 12en Jnij 1665 No 3/geteickent op vrijdach [altered from dijnsdach] smorgens heel vroug /wesende heel stille & schoon weer' (The 12 June 1665, No 3. Drawn on Friday morning quite early, quite calm and fine weather). Some aspects of the drawing, such as the handling of the wash, suggest the Younger's work. 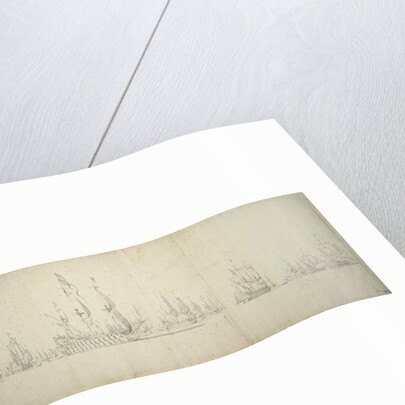 Van de Velde made a numbered series of drawings showing the Dutch fleet in the days before the Battle of Lowestoft, but the numbering cannot be reconstructed. 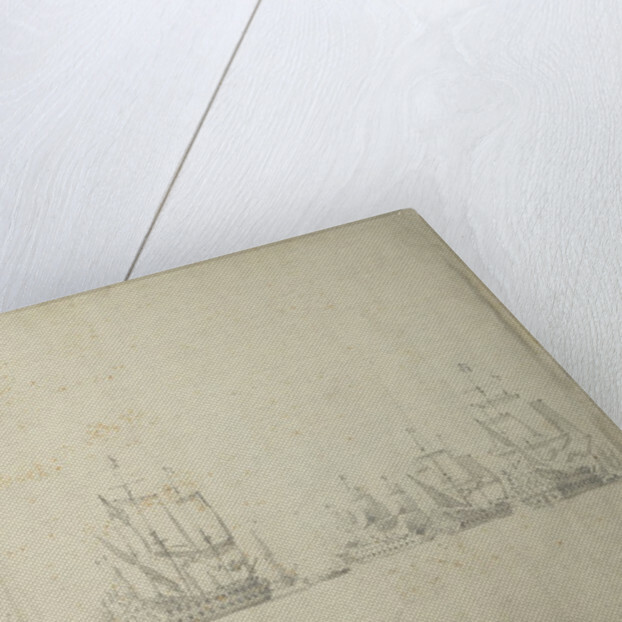 Although there are drawings by the Elder and the Younger dated in the early part of May, they were apparently not at sea with the fleet until 22 May-1 June. 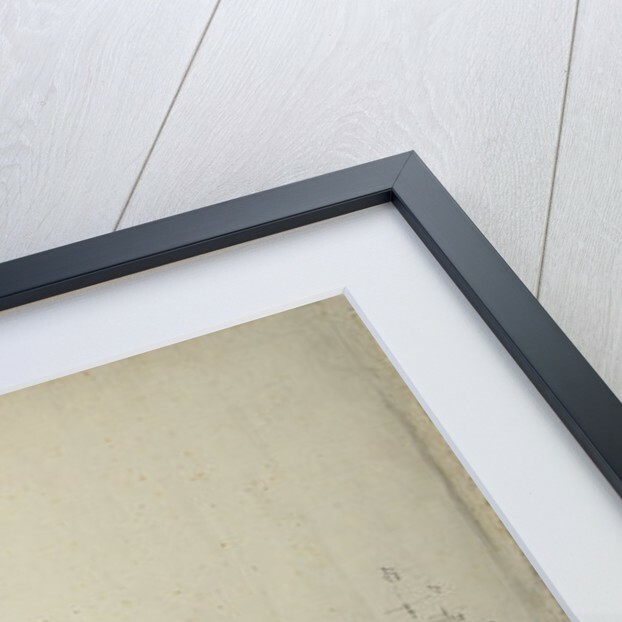 Other drawings from the series are in the British Museum, the Boymans Museum, Rotterdam and in the Pole Collection, Anthony House, Torpoint.